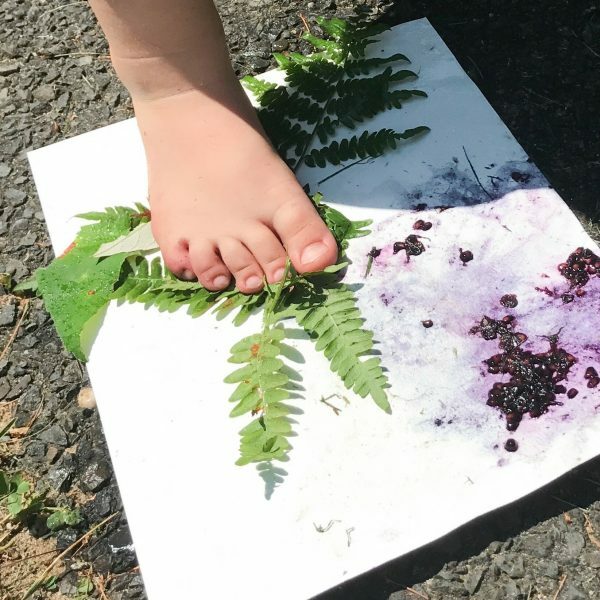 This smash painting process art activity combines nature with art, all while providing kids with a satisfying sensory and gross motor experience! 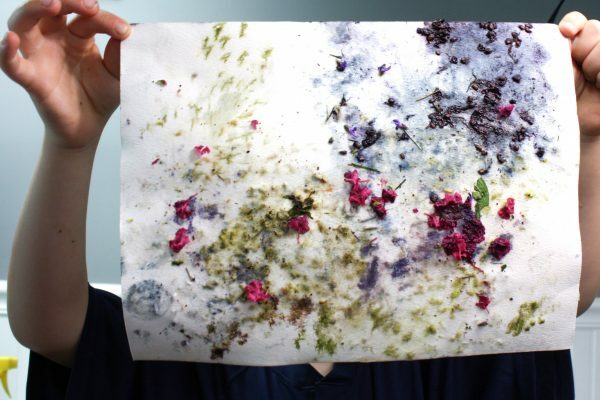 Nature is full of color, and with a little bit of work, kids can extract the color and transfer it to paper. 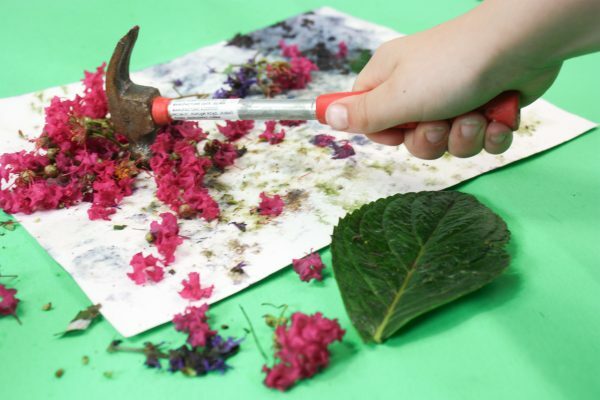 Using items found outside, this nature smash painting creates some beautiful works of art! Prior to painting, kids can go on a nature walk to hunt for items with color found outside. This is a great opportunity to discuss colors and just how many there are in nature. 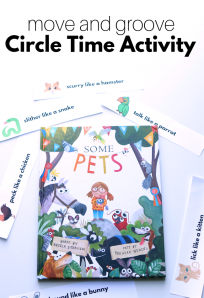 Kids will begin to notice that when they look closely, they can find quite a bit! To complete the project, you will need spray bottles with water, watercolor or other heavyweight paper, and colorful nature items. 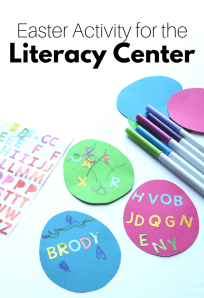 The kids can use their hands and feet to mash and rub, engaging the senses while they work. For older children, use a toy or child-sized hammer in addition to their hands and feet. To begin, spray the watercolor paper with water to get it nice and wet. 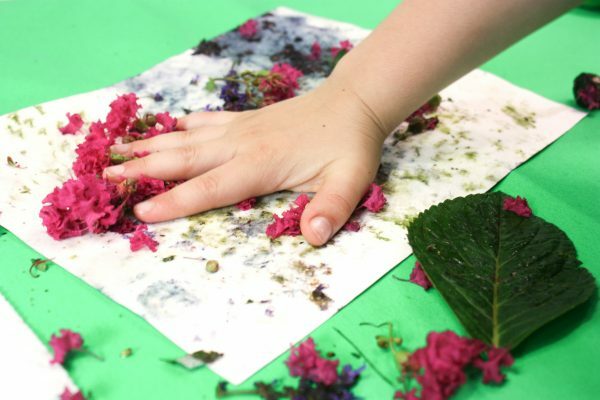 Then, let the children experiment with placing and rubbing the items found in nature on the paper. 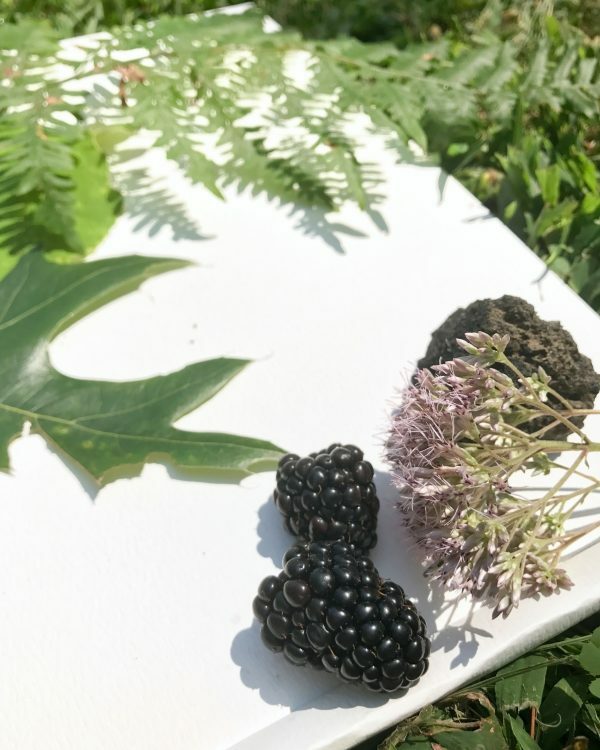 Berries, dirt, and certain flowers will be easy to paint with, whereas items like leaves might be more challenging. This is a great exercise in critical thinking and problem solving as children might wonder how they can get color out of items like leaves. With stomping or rubbing, the color from the leaves will transfer to the paper. For older children, smashing with a rock or a hammer will work as well. They can continue smashing and spraying to produce more and more color on the paper. While the emphasis of this activity is on the process, the art the kids are producing is quite beautiful! 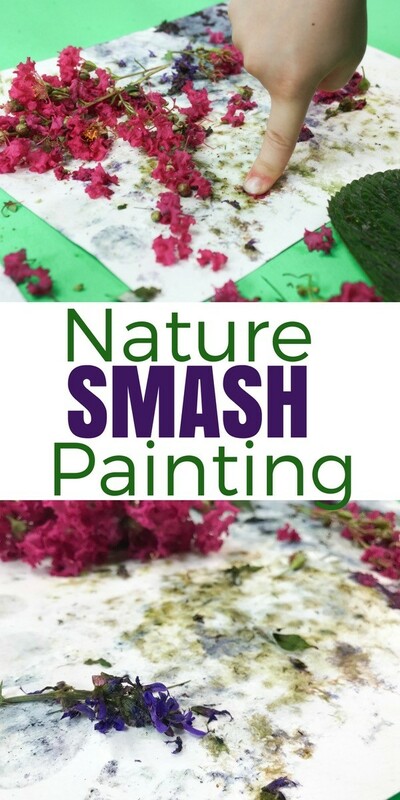 Kids can create these over and over again, using different items from nature, and discover the many colors they can produce in this nature smash painting.